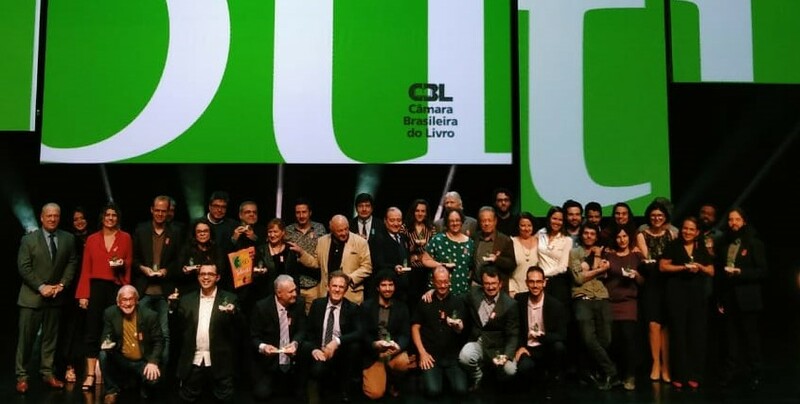 Once a year, the Brazilian Book Chamber (CBL) marks the pages of the Brazilian literature history with the award of the Jabuti Award – the major and most expressive acknowledgment of the Brazilian publishing market. During the evening of last Thursday (9th), 18 authors and publishing houses were recognized by the institution. Among them, the Restless Books that won in the category “Brazilian Book Published Abroad” for the publication of “Fim” (The End). The book was written by Fernanda Torres and released in Brazil by Companhia das Letras. The category “Brazilian Book Published Abroad” was inserted in the award in 2017 and is part of an export work of the Brazilian editorial content carried out by the Brazilian Publisher, a project of the Brazilian Book Chamber (CBL) in partnership with the Brazilian Trade and Investment Promotion Agency (Apex-Brasil). The manager responsible for the Brazilian Publishers Project at Apex-Brasil, Isabel Fontoura, explains that the international category of the award promotes the Brazilian literature. “Apex-Brasil understands that it is of enormous relevance for national publishing production. Through the internationalization of the sector and the recognition of publishing houses that believe in the literary potential of our country, we have been able to broaden and strengthen the access of professionals and international readers to the Brazilian culture”, she said. “Books bring us knowledge, open new horizons and the finalist works of this year’s edition are proof of this. They are texts that explore our greatness and traditions with quality and feeling. They are titles that represent a modern, diverse and creative publishing production. The promotion of reading is the path to development, and our main goal is to instigate curiosity, to provoke discovery, and to match the passion of our reader. Our mission is to take reading to the four corners of the country and beyond Brazil”, said the President of the Brazilian Book Chamber, Luis Antonio Torelli. The title “Fim” (The End) is the first novel of Fernanda Torres and brings the story of five friends who remember important passages of their stories, such as parties, weddings, regrets, and separations, among other topics. The category “Book of the Year” of the award contemplates the best book classified in the axes Literature and Essays. The winner of the 2018 edition was the work “À Cidade” (To the City), written by the poet from Ceará State, Mailson Furtado. In addition to the statuette, the author took home the prize of R$ 100,000. “This book was practically all made by hand, a totally independent work. Even the cover drawing is mine. This nomination and this award open a little of the window to a literature that is done alone and independently. This award is not mine, it is ours”, said Mailson. “À Cidade” (To the City) presents the vision of a small city in the hinterland and its changes accompanied by the flow of the Acaraú River, located in the Northern Region of Ceará. In the poem, the city is built, destroyed, goes back and gains countless meanings. The work interweaves historical, political, folkloristic, and geographic elements, among others. It is a work that narrates my place, a city that was born less than 50 years ago. And now I have this Jabuti in my hand because of it”, explained Mailson. Check out the winning works in the other categories here. Created in 2008, Brazilian Publishers is a trade sector project that promotes the exports of content produced by Brazilian publishing houses. It is the result of a partnership between the Brazilian Book Chamber (CBL) and Apex-Brasil (Brazilian Trade and Investment Promotion Agency). This initiative aims to promote the Brazilian publishing industry in the global market, contributing to the professionalization of Brazil’s publishing houses.